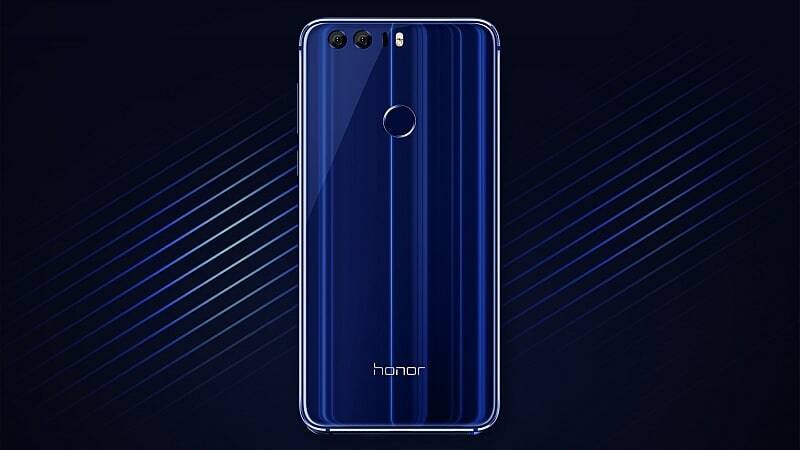 Huawei Terminal’s brand Honor is all set to launch its flagship smartphone in India on Wednesday – the Honor 8. The highlight feature of the smartphone is its dual rear camera setup. The New Delhi launch event is scheduled to begin at 11:30am IST. The company said it would unveil other devices at the event, but did not reveal what these would be. To recall, the Honor 8 was launched in China back in July. Three memory and inbuilt storage variants had been launched – 3GB of RAM and 32GB of inbuilt storage at CNY 1,999 (roughly Rs. 20,000) model, 4GB of RAM and 32GB storage model CNY 2,299 (roughly Rs. 23,000), and CNY 2,499 (roughly Rs. 25,000). The company is anticipated to launch the 4GB RAM and 64GB storage model in the country. The Honor 8 is a dual-SIM (Micro-SIM) smartphone that runs Android 6.0 Marshmallow with the company’s EMUI 4.1 skin on top. It sports a 5.2-inch full-HD (1080×1920 pixels) LTPS LCD display with a pixel density of 423ppi. The Honor 8 is powered by a 1.8GHz octa-core Kirin 950 processor. As we mentioned, the smartphone bears a dual rear camera setup, sporting two 12-megapixel cameras. The rear cameras also feature dual-tone LED flash, and laser autofocus. On the front, the Honor 8 bears an 8-megapixel camera. The rear panel also sports a fingerprint sensor. The 32GB of inbuilt storage on the smartphone is expandable via the hybrid dual-SIM card slot, where if users are not utilising the second SIM card slot they can use a microSD card (up to 128GB) instead. Connectivity options include 4G LTE, Wi-Fi 802.11ac, Bluetooth v4.2, GPS/ A-GPS, NFC, and an infrared scanner. It is powered by a 3000mAh battery. The smartphone measures in at 145.5x71x7.45mm, and weighs 153 grams. Sensors on board include an accelerometer, an ambient light sensor, a gyroscope, and a proximity sensor.